The following is the text of our participation invitation email. This email has been sent out to multiple groups, nationwide. As a point of record, we reproduce the text of the email here on our website. Today the Internet Services industry is a proprietary construct, almost entirely owned and controlled by proprietary commercial interests. Google, Yahoo, MSN, AOL, YouTube, Facebook, MySpace, LinkedIn, and virtually every other Internet service -- these are all for-profit corporations, with no responsibility to the public welfare. This represents a significant hazard to the broader welfare of society. Under the existing proprietary Internet regime, critical societal freedoms are being seriously compromised by commercial self-interests. Today, the world is largely unaware of this. The public is completely oblivious to the perils of the proprietary Internet model, and happily entrusts its personal data, its privacy, its freedoms and its civil liberties to proprietary business interests. And the people whose responsibility it is to safeguard the public interest -- government, and the engineering profession -- are asleep at the wheel. The existing proprietary regime is the wrong model for provision of Internet services. Wrong in that it allows control of the service by the provider, and ownership of the user's data, in a way that is wholly unknown to the user. The solution to this is an entirely different model for Internet services, in which ownership is placed squarely in the public domain. We have formulated a radically new, non-proprietary model for delivery of Internet services. We call this the <Libre Services> model. The Libre Services model represents a rejection of the existing proprietary ownership model. 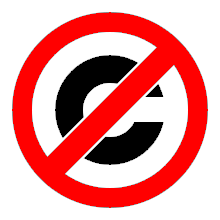 Specifically, it represents a complete rejection of patents and restrictive copyright as these apply to Internet services. These are business paradigms, advantageous to commercial interests, but acting against engineering creativity and the broader interests of society. The Libre Services model is part of a larger construct. A viable solution, of the scope and scale we are proposing, must address many spheres of activity, including technical, engineering, societal, economic, and business. We have invested considerable intellectual effort in considering these various dimensions, and we have assembled what we believe is a complete construct, addressing every component necessary to become a viable real-world solution. We are now ready to begin presenting this construct to others. Over the next several months we will be revealing the various components of our model, and over the years to come we will be deploying and promoting it. In this email we are leading off with one of the most critical components: the business component. Though the Libre Services model is non-proprietary, services deployment must remain largely within the for-profit sector. Historically, the for-profit sector has been closely associated with proprietary ownership of assets. Hence the Internet Services industry as we see it today. Also historically, management of non-proprietary or public assets has been primarily associated with the non-profit sector. Hence the current orientation of the Free Software Movement, which operates largely within the non-profit sector. The Libre Services deployment model, however, breaks both of these traditions. It represents a radical shift of the Internet Services industry from the for-profit, proprietary quadrant, to the for-profit, non-proprietary quadrant. In this space the entire software for an Internet service remains a communal public resource in the trust of the engineering profession, while service deployment is driven forward by the full force of for-profit commercial motivations. Since it resides within the for-profit sector, an essential component of our model is its business dimension. As part of our responsibility to create a viable implementation construct we have given proper thought to this dimension, and we have articulated the business argument in the form of an Open Business Plan, titled <Italic: The By* Family of Libre Services: The future of the Internet Services industry>. The <Executive Summary> and the <complete plan> are available on our website at: http://www.neda.com/strategicVision/businessPlan. The traditional closed business plan has a narrow audience and a single purpose: to secure financing. But the audience and purpose for our Open Business Plan is much broader than this. This is an industry-building initiative, requiring understanding and participation by many others. Our Open Business Plan is intended for wide readership among multiple constituencies, including engineering, business, investment, government, academia, the media, and the public. We are fulfilling our engineering responsibility to maintain public ownership of the Internet for the long-term welfare of society. And now we ask you, as recipient of this email, to assist us in this goal. As a first step, we ask you to read our Open Business Plan and give us your critique. We are proposing a new incarnation of the Internet Services industry, within the for-profit, non-proprietary space. But this is unknown and unproven territory. Our model is subject to examination and validation by others, and eventual proof in terms of real-world execution. This initiative can benefit greatly from your analysis and critique at this stage. The for-profit, non-proprietary space represents a new locus of activity, with its own characteristic dynamics and rules of engagement. Within this locus many traditional business conventions and preconceptions, formulated within the proprietary domain, no longer apply. We have given this much thought, and we have formulated a new set of business paradigms, that we believe are right for this new space. The resulting business model violates many long-established business precepts, and for this reason will likely not be taken seriously by most within the business community. In particular our Open Business Plan, and our radically new financing model, catastrophically violate the usual investor expectations for investor/entrepreneur relations. For this reason we expect that our approach will not be well received by the typical investor. We are leading things off with our Open Business plan, but this is just one part of a bigger picture, and there is a lot more to come. In future mailings we will be presenting the many other components of this construct. Please stay tuned!